From The New Atlantis. December 14, 2007. –T. S. Eliot, "Choruses from ‘The Rock’"
Writing in the Washington Post about the dedication of the new Victims of Communism Memorial in Washington, D.C., Philip Kennicott suggested that there is encoded in it the subtextual and "contentious" claim that "the left failed to adequately oppose communism." As the memorial consists of a statue based on the replica of the Statue of Liberty carried by the students of Tiananmen Square in 1989, while the inscription on the plinth doesn’t mention "the left" at all but only says "to the more than one hundred million victims of communism and to those who love liberty," you might almost think that somebody on the left had a sore conscience. It is hard to see, moreover, what would have been "contentious" about the claim—if it had been made—that, so far from opposing communism "adequately," many on the American left hardly opposed it at all. Many others were unashamed apologists for the regimes that murdered the (estimated) 100 million people now being memorialized. Much of the left was — and remains — "anti-anti-communist." This is what accounts for what Ferdinand Mount calls the "asymmetry of indulgence" afforded communistic and fascistic state-sponsored murders. Robert Service, writing in The New Statesman, recently complained that merely because his book Comrades: A World History of Communism had noticed the toll taken on the lives and liberties of those unfortunate enough to have lived under Communist dictatorships, a reviewer in the British press had assigned to him the most despised epithet in the vocabulary of the contemporary British intellectual: "neocon." Service noted ruefully that, though discredited wherever it has been instituted, "Communism, like nuclear fuel, has a long afterlife." Indeed it does. But it didn’t occur to him to ask why. I think it is because Communism was a powerful example of the recurring strain of utopianism in the intellectual life of the West. Communism itself may have failed, but the utopian habit of thought on which it was based lingers on even among those who find Communism repugnant and hateful — even, perhaps, among the dreaded neocons themselves. And this survival, in turn, is a result of our culture’s having nowhere else to go in its long flight away from a heroic past it is determined to reject. The day before the shootings at Virginia Tech University in April 2007, I had returned from a conference in California on heroes and heroism. Therefore, perhaps, it struck me with more force than it otherwise might have done that the extensive media coverage of the event which ensued seemed to go out of its way to play down the one or two instances of heroism which that tragedy had elicited. In particular, the case of the 76-year-old Holocaust survivor, Liviu Librescu, who died after using his body to block the door of his classroom against the murderer’s entrance for long enough to allow a number of his students to escape out a window, seemed to me to call for special attention and celebration, at the very least. Yet the news media evinced an unmistakable desire to play this story down. Librescu’s brave deed was mentioned in passing from time to time, but only in contexts where he was seen as just another of the killer’s victims. The impulse to de-emphasize heroic actions was also evident in Paul Greengrass’s 2006 film United 93. Greengrass was frank in admitting that the condition of his obtaining the cooperation and support of the families of the victims of the hijacking of the fourth plane on September 11, 2001 — the one that crashed into a field in Pennsylvania — was that no one should be singled out as a hero. As it happens, we know the names of at least four men on that flight who behaved heroically by any standard — Todd Beamer, Jeremy Glick, Thomas Burnett, and Mark Bingham. But it was thought that any attempt to recognize or celebrate that heroism was implicitly demeaning to the passengers who were not so recognized. Jere Longman, who wrote a book about Flight 93’s resistance to the hijackers called Among the Heroes, tells of a meeting of the victims’ families at which the mother of Mark Bingham had said that the passengers "were not all heroes" and that to insist on such enforced equality "does a disservice to their memory and the truth." At this, Longman reports that "two or three people grew so angered that they left the room." One of the other family members said: "It was, like, ‘Why diminish everyone else? They’re all dead.’"
How did our culture get to the point where the heroism of some is thought to diminish others—where heroism in general has become an embarrassment, something not to be talked of in public for fear of giving offense to non-heroes? 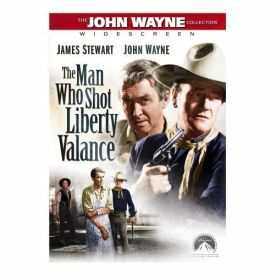 As it happens, the California conference I attended had devoted one of its sessions to a discussion of John Ford’s film The Man Who Shot Liberty Valance. Released in 1962, this classic Western tells the story of a frontier town called Shinbone that is terrorized by a murderer, thief, and gun-for-hire who bears the significant name of Liberty Valance (Lee Marvin). A lawyer called Ransom Stoddard (James Stewart) comes to town with the idea of setting up a practice there. But before he even arrives his stagecoach is waylaid by Liberty and his gang, and he is robbed and beaten. Symbolically, Liberty tears the pages out of one of Stoddard’s law books. On his arrival in Shinbone, the lawyer is nonplussed to find that there is no law enforcement there willing or able to bring Valance to justice. Tom Doniphan (John Wayne), the only man in town capable of standing up to him, is disposed to mind his own business. On the frontier, the law is otiose because (as Tom explains to the newcomer) there, "men take care of their own problems." The point being made by Ford and his screenwriters, James Bellah and Willis Goldbeck, is that what’s needed for the establishment of civilization is, in the first instance anyway, not law but heroism. Someone has to risk his life to put an end to the threat of violence and disorder to the whole community. The problem, as in the parable of the mice, is that there is no incentive for any particular individual to be the one to bell the cat. And even if there were, there could be no question of due process about the exercise. The man who took on Liberty Valance would have to be as much outside the law as Liberty is — at least so long as his ability to intimidate witnesses makes the law powerless against him. But the filmmakers also seek to show us how this has become an unpalatable truth and one that people seek to disguise from themselves. Doniphon is induced to shoot Valance in what he himself describes as an act of "murder, pure and simple" — but in such a way that it looks like an act of self-defense by Stoddard, who is the representative of culture (he teaches the illiterates of the town to read), as well as law and civilization. 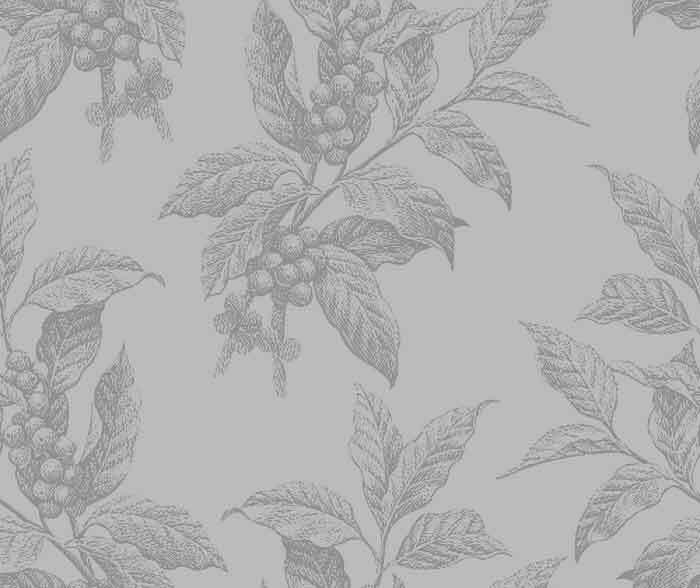 When these desirable things all proceed, after the death of Valance, to thrive in Shinbone, the story of that death is then mythologized into a founding legend of the town and of the territory, shortly to become a state. Although he is told the truth years later, the local newspaper proprietor (Carleton Young) doesn’t want to know it. He responds with what has become the movie’s most famous line: "This is the West, Sir. When the legend becomes fact, print the legend." In this, he is echoing the irony of Dutton Peabody (Edmond O’Brien), his predecessor as editor of The Shinbone Star, on that memorable occasion years before when Valance and his henchmen had been made to back down in a confrontation with Doniphon, occasioned by Valance’s deliberate tripping of Stoddard as he was carrying a tray of food. "Well now; what do you suppose caused them to leave?" Doniphon asks the newspaperman of Valance’s ignominious departure. "Why," Peabody replies ironically, "it was the specter of law and order rising from the gravy and the mashed potatoes." The suggestion is that the power of "the specter of law and order"—in its own right, that is, and independent of the willingness of brave and powerful men to express their will to dominance by killing or threatening to kill each other—is a form of mythology which is foundational to their, and our, civilization. And so it is too, but only to the extent that that civilization’s principles are utopian in nature, as ours increasingly are. Virginia Tech, for example, had proclaimed itself "a Gun-Free School Zone"—an offering to the specter of law and order which, in sickening retrospect, looks like some kind of propitiatory offering to the deity of a primitive culture, trying to ward off a plague. America is full of "nuclear-free" cities and "drug-free" schools, all built on the same superstitious belief in the ability of democratic and well-meaning assemblies to call new realities into existence by merely passing resolutions. The only political repercussions of the Virginia Tech massacre arose out of the latest reawakening of the periodically powerful but recently dormant impulse to ban the instruments of violence—a similarly utopian measure. For whatever might be the marginal benefits of banning guns — and reasonable people may differ on this question — it is hard not to connect the urge to do so with a utopian belief in social engineering by legislation. The point of such engineering is always to create one of Eliot’s "systems so perfect that no one will need to be good." Or, we might add, heroic. If merely preventing gun violence were the aim, a much surer course would be to arm all students with handguns since, at the very least, you could be sure that no killer would claim more than one or two victims before being killed himself. But there is something un-utopian about fighting the evil that the utopian stubbornly insists should not exist in the first place. Better to pass a resolution anathematizing it. This worldview clings to its implicit belief in the power of the specter of law and order’s rising from the gravy and the mashed potatoes. The passionate advocacy by some of a gun ban as a solution to the problem of school shootings, a solution whose efficacy had just been disproved by this same school shooting, showed a need on their part to believe in the power of politics and law to solve even the most intractable and dangerous problems. The utopian tendency is much more firmly rooted in our culture than we are likely to realize. Just over a fortnight before the shootings in Blacksburg, an exhibition titled "Modernism," first mounted last year by the Victoria and Albert Museum in London, came to the Corcoran Gallery in Washington, D.C. It was a fascinating look at a stylistic revolution, now a century old, which is still immensely influential, and not least on account of its utopianism—which was the central focus of the exhibition. On walking into the first room of the exhibition, the visitor was greeted by a sign asking "What is Modernism? "—and answering as follows: "The Iconic Objects in this room...were created by practitioners who believed that their art could help bring about Utopia within their lifetimes." This belief was expressed in all kinds of ways, as the exhibition shows, from calisthenics to kitchen design, from the cantilevered chair of Mies van der Rohe to the colorful rectilinear paintings of Piet Mondrian. I wish I could say that I thought the exhibition made room for some skepticism, or even a touch of irony about modernist utopianism, or some realization that "utopia" means "no place" and so cannot be "brought about." It doesn’t. "Utopia" is capitalized because the writer thinks it’s Some Place — if not now, then in the future. As Timothy Benson has put it, "Utopia functioned within Modernism as a continuous, constructive means of self-critical renewal, an enactment of the central tenet of the avant-garde: creative artistic endeavors can embody hope and prepare the way for better conditions for humanity." This observation is quoted in the exhibition catalogue by Christina Lodder, in an essay titled "Searching for Utopia," who also shows how neatly she can give to airy nothing a local habitation and a name by noting that "Utopia comes from the Greek, and suggests two neologisms simultaneously: outopia, meaning no place, and eutopia, meaning a good place." In other words, No Place becomes Some Place because it is a pun in Greek. It’s enough, at any rate, to make the "Modernism" exhibition as much a celebration of utopianism as it is of modernism. Both, though once controversial, are now evidently to be regarded as settled cultural law. Still, it might be useful to try to go back to the time of that great anti-utopian, T.S. Eliot—of course there is no mention in the exhibition of this aspect of one of the greatest of the modernists—in order to re-imagine why both were controversial in the first place. Beginning with Filippo Tommaso Marinetti and the Futurists before the First World War and continuing with Die Stijl and Bauhaus after it, there was always a strong element of political radicalism associated with Modernism. Particularly in the 1920s and 1930s when it was in its heyday, Le Corbusier, Walter Gropius, and others envisaged a sweeping architectural revolution — more or less explicitly as a complement to the political ones that were projected or actual at the time — to provide for simple, efficient, undecorated "workers’ housing" and do away with luxury, sentimentality, ornament and other "bourgeois" values. Tradition had to be cleared away along with traditional images and traditional architectures in order for ideological and architectural engineers to build a new civilization from the ground up. The foolishness of this frank and full-blown utopian project is hardly even controversial anymore—or not any more than ritual condemnation of the crimes of Communism, which even Kennicott does not dispute. As long ago as 1981, Tom Wolfe ridiculed the utopian aspect of modernism in From Bauhaus to Our House. And yet the architecture of the glass box about which he was so scathing continues to dominate our cities more than a quarter of a century later. As the title of Nathan Glazer’s new book puts it, Modernism has gone From a Cause to a Style. The rags of a failed utopianism still hang from it long after it became routine for banks to commission for their headquarters Mies-style glass towers or for reproductions of Picasso and Matisse — the originals, are of course, only available to the very richest—to decorate the "living rooms" of the haute bourgeoisie. We may not be conscious utopians ourselves anymore, but we still believe that those who are (or were) are entitled to full credit and even a certain veneration merely for the goodness and the nobility of their intentions. That feeling is also what lies behind Tom Stoppard’s epic of 2002, The Coast of Utopia — three closely linked plays called Voyage, Shipwreck, and Salvage, which premiered on Broadway in late 2006 and early 2007 after a successful run in the West End of London — and behind the record-breaking number of Tony awards it won in June 2007. The triptych of plays presents the intellectual ferment of socialism, communism, anarchism, and other -isms in the 1840s, which eventually gave rise to the twentieth century’s various utopian ideologies, as a sort of tragic farce: not worth taking seriously as political philosophy but carrying with it a great deal of poignancy because of the human quality in the lives and loves and petty rivalries among the utopian thinkers themselves. These included (especially) Mikhail Bakunin and Alexander Herzen. Karl Marx puts in an appearance, but he is regarded by Stoppard as rather a sinister buffoon. Herzen is his darling, because of his realization of the human limitations that will eventually thwart all utopian projects. "If we can’t arrange our own happiness," the play has him say, "it’s a conceit beyond vulgarity to arrange the happiness of those who come after us." "He came to the conclusion that there was no abstract formula at work on our history," Stoppard has said elsewhere about Herzen. "There was nothing going on that was inevitable. The big bond between me and him is that he found an appalling arrogance in the way that people might construct an abstract narrative of our society and subordinate the individual life to it. He found that morally repellent." There is no reason to disbelieve this characterization of his own views, and yet Stoppard himself must be regarded as a sort of sentimentalist utopian as, I think, Edmund Wilson was in his great history of nineteenth-century utopian socialism, To the Finland Station — or E. H. Carr in The Romantic Exiles or Isaiah Berlin in his Russian Thinkers, the two books which, along with Herzen’s My Past and Thoughts, provided so much of the source material for The Coast of Utopia. All, though more or less skeptical of utopianism itself, sought to romanticize the utopian philosophers as a way of salvaging something from the "shipwreck" of their ideas that could be usable to liberals. What they came away with was a sort of tragic well-meaning. Certainly in The Coast of Utopia, the nightmarish twentieth century to which everything is leading up seems to recede ever further into the distant future as the focus turns to the humanity of that future’s architects. All is forgiven, it seems, because their intentions were so good, their righteous anger against the abuses of tsarism so noble, and their commitment to authenticity of feeling in their private lives so much like our own. The works of the German philosophers so loved by Bakunin and his circle come off as little better than gibberish, a sort of comically obscure counterpoint to the serious business of Life and Death and Love, which get all the kudos in the end. Though Marx is all but ignored, it’s not so easy as Tom Stoppard might think to dissociate his disastrous imprint on twentieth- century history from the intellectual soup out of which his ideas evolved. As Anthony Grafton pointed out in his review of the Broadway production in the New York Review of Books, Lenin looked back on the inspiration provided to him and the revolution by Herzen as second only to that of Marx. In the age of Blink and Blahnik, when the stupidity of a radio shock jock inspires a fit of moral indignation in the American press but the destructive ineptitude of the American government does not, Stoppard has made us see what it was like to love ideas with a whole heart, to fight for a better world with all one’s strength, to write for readers who waited for days for each new article, to hurt the people one loves most, and to insist that no ends, however good, can justify immoral means. The Coast of Utopia brings us face to face with complex, articulated characters, doing their imperfect best to solve the hardest problems with which existence confronts us. In other words, utopia-lite ends up being process, not system; journey, not destination. The point is not to build something, but merely to care passionately about the idea of building something. It’s this which lifts the failed or frustrated utopians onto a higher moral plane than, say, "the American government." Yet the routine swipe at the Bush administration should not be allowed to pass without noting that its supposedly "destructive ineptitude" is really just the liberal utopia of passionate carers translated into political and military reality. How is President Bush materially different from those "complex, articulated characters, doing their imperfect best to solve the hardest problems with which existence confronts us"? He is at least partly, and to the extent that he believes a democratic government can be imposed on the Iraqis, a victim of the great modernist paradox, which is that we don’t want the utopias themselves anymore, but we want the utopian style. And we want it because it is a self-validation. It shows that we believe in the right things — in peace, in progress, in compassion for life’s victims, and in universal principles — even though we no longer have any intellectually coherent program for institutionalizing them among men. It also shows that we don’t believe in the wrong things. And the principal of all the wrong things we don’t believe in is the hero, the man on the white horse (a fascist emblem, we now believe) who seeks to win glory for himself and honor for his people by fighting against those who would do evil. That’s why President Bush gets no credit for his utopianism from the sentimentalist-utopians of the left: because it depends on people — and, in particular, on Americans — being good and fighting what he calls "evil-doers." "Unhappy the land that is in need of heroes," says the Galileo of that heretical utopian, Bertolt Brecht, whose belief in the existence of the happy land that has no need of heroes was still undimmed by disillusionment with Soviet-style utopianism. He was making a point very much like that of The Man Who Shot Liberty Valance. We don’t want Tom Doniphan any more than we want Liberty Valance, since both are free men, unconstrained by the laws and regulations of compassionate social engineers. We may have lost confidence in the ability of those engineers to design a perfect system, or even to live up to their own high expectations of humanity, but it is easier to go on clinging to their fantasies as if we believed them to be real than to submit to the despair of admitting to ourselves that life is still for us what it was to our great-grandfathers who believed — or at least pretended to believe — that there was nothing in it more important than being good.